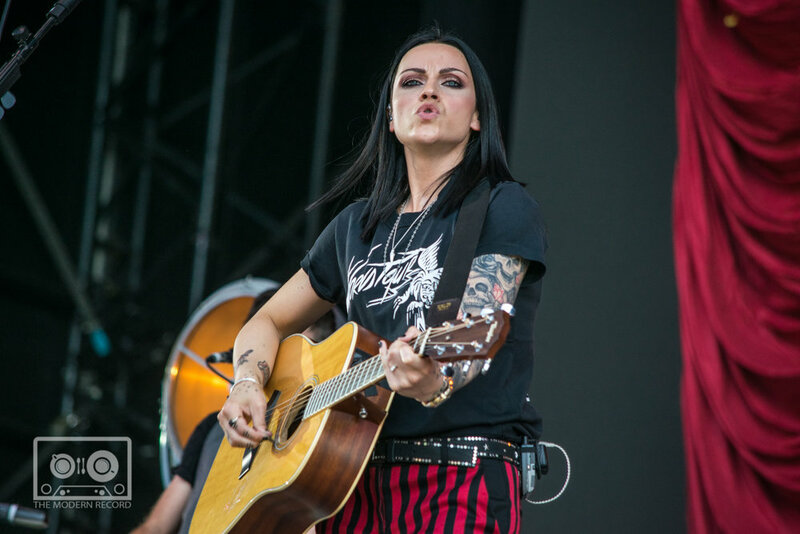 BBC Music’s Biggest Weekend continued into the bank holiday weekend, under scorching sunshine, with 20,000 heading for the picturesque surroundings of Scone Palace in Scotland’s Perthshire. Day two began in the afternoon with the magnificent Squeeze, the veteran pop rockers from Deptford in London who entertained us with such classic tracks as Up The Junction, Cool For Cats and Take Me Im Yours. Couldn’t have started day two off any better, the front two of Glenn Tilbrook and Chris Difford in top form. Next up was Gaelic singer Julie Fowlis, who treated the crowd to a Scottish Gaelic interpretation of the Beatles classic track from The White Album, Blackbird (Lon-dubh). 1980’s ska legends The Beat were next up to get the crowd going, and they certainly did. Classics such as Too Nice To Talk To, Tears Of A Clown and Mirror In The Bathroom. The years may be rolling on but Dave Wakeling and his band have lost none of the energy and spirit from back in the day. Amy McDonald was next to grace to Perth stage, with the crowd going crazy for the singer from Bishopbriggs, just outside Glasgow. She thrilled the crowd with her hits such as This Is The Life and Mr Rock And Roll, which brought the confetti canons to play, showering the arena in colourful paper, a spectacular sight in the glorious afternoon sunshine. 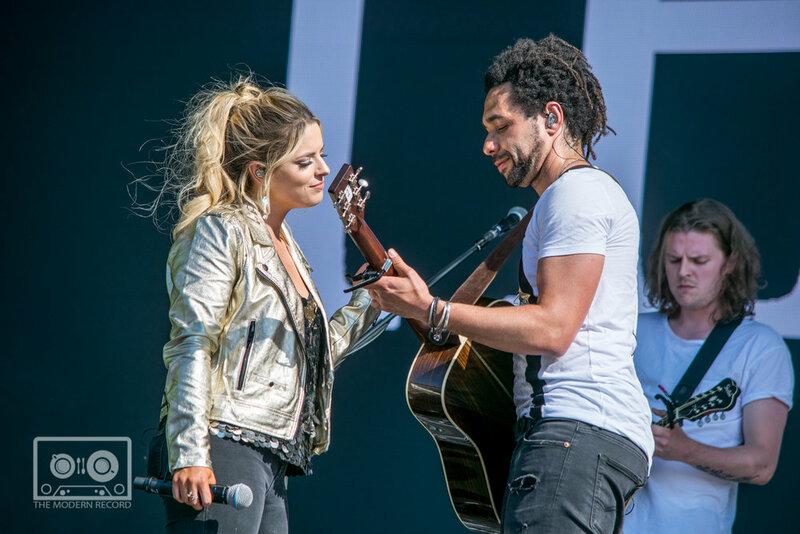 British country duo The Shires followed and the crowd were delighted to see them, a popular young band. Comprising Ben Earle on guitar and keyboards and Crissie Rhodes on vocals, the band released their debut album Broave in 2015 and have played to packed venues since, and they went down very well with the Perth crowd today. 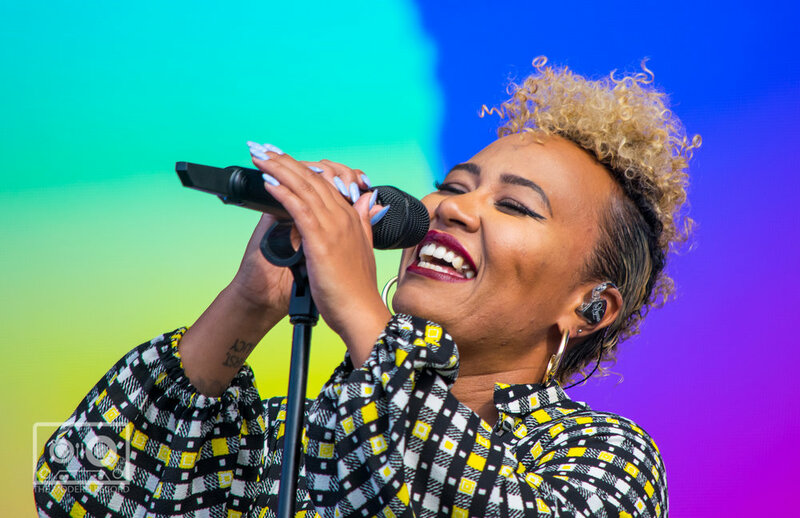 Emeli Sande was next on stage, with a performance to wow the crowd. The power in her voice was not lost in the huge open arena, as she performed hits such as Highs And Lows and Next To Me. An outstanding Scottish talent. The Perth weekend’s penultimate act was Scottish giants Simple Minds. Now in the 41st year of performing together, the band continue to record, releasing new music and playing to sell out crowds around the world. Tonight the blasted thru a 45-minute set which included the classic songs Waterfront, Don’t You Forget About Me and Alive And Kicking. As much as the band line up has altered over the years, they remain as good a band as ever, constantly at the top of their game, and tonight was no exception. Jim Kerr and Charlie Burchill had the crowd going before the 1st note was played. And onto the closing act of the weekend, the Mighty I, Noel Gallagher and his High Flying Birds. Making his name in the early 90s as one half of the powerhouse Oasis, since going solo his career has continued to flourish, with another number one album released recently. Tracks played tonight from all stages of his career had the crowd enthralled from start to finish, opening with Fort Knox and Holy Mountain, then backwards to his second album It’s a Beautiful World and debut album track Dream On. Mixing these solo songs with timeless Oasis classics such as Little By Little, Wonderwall and Don’t Look Back In Anger, Noel closed the set, the evening and the weekend with The Beatles classic All You Need Is Love. This was a first by the BBC, but surely after the success it wont be the last of these holiday music weekends. A fabulous time had by all, fabulous music to keep everyone content, gorgeous surroundings in the Perthshire countryside and weather to rival Tenerife! What more could anyone ask for?